Morris-Shea Completes Deep Foundation Construction for Airbus Dual Bay Hangar Expansion - Morris Shea Bridge Co., Inc.
(Birmingham, AL – April 2, 2018) Irondale, Alabama-based Morris-Shea has completed a contract awarded by general contractor BL Harbert International to install DeWaal Drilled Displacement Piles as deep foundation for the Airbus Dual Bay Hanger Expansion Project in Mobile, Alabama. 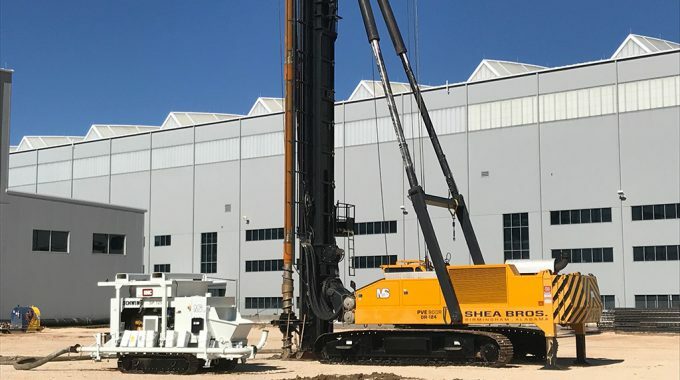 Foundation contractor Morris-Shea installed 800 DeWaal Drilled Displacement Piles in the construction of the Airbus A220 aircraft assembly building. Morris-Shea successfully drilled test piles at the Airbus jobsite that met or exceeded project-specific load criteria. In addition to a comprehensive static load testing program, Morris-Shea also performed a supplementary site investigation with standard and seismic cone penetrometer technology (SCPT). This test further confirmed the outstanding performance offered by DeWaal piles. 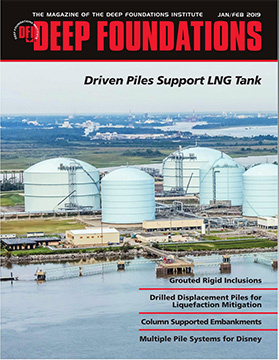 This wide range of testing assures the foundation’s load specifications will be met and Morris-Shea assumed the risk of guaranteed capacity for the DeWaal piles. 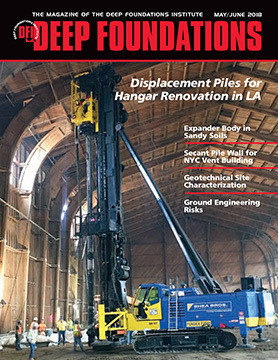 Conventional augercast (ACIP) piles were initially specified for the foundation of the original Airbus hanger. Over 3,500 DeWaal Drilled Displacement Piles were ultimately installed in the construction of this earlier phase after Morris-Shea presented the DeWaal System as a Value Engineered Alternate. Morris-Shea’s successful installation of DeWaal piles in the first phase of construction reduced project expense and scheduling and led to a Drilled Displacement Piles foundation design being specified for the new expansion. The DeWaal pile system provides uncommon load strength and minimizes the contamination and disposal concerns related to spoils brought to the surface by augercast installations. The contractor installs DeWaal piles with purpose-built equipment and exacting methods that ensure the production of high quality deep foundations. Morris-Shea has successfully designed and installed hundreds of thousands of DeWaal Drilled Displacement Piles for projects throughout North America and the Caribbean. DeWaal piles are the original Drilled Displacement Pile system invented in Europe in 1985. Morris-Shea is the U.S. patent holder and sole licensee for DeWaal Drilled Displacement Piles in the Western Hemisphere and has been installing DeWaal piles in the U.S. since 1992. 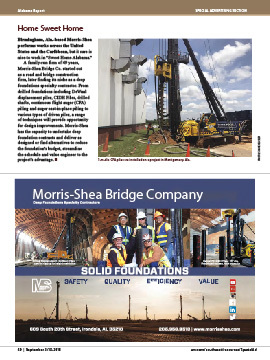 About Morris-Shea Bridge Co., Inc.
Morris-Shea installs deep foundation systems for infrastructure projects throughout the United States, the Caribbean and South America. The Morris-Shea team of geotechnical professionals has constructed foundations under many of the world’s largest energy, manufacturing and industrial projects. Morris-Shea installs deep foundation systems for energy, manufacturing and industrial projects throughout the United States, the Caribbean and South America.